Today is a special day. It is a day when we celebrate those special ladies who have overcome breast cancer. It is also a day where we can help others become aware of what a sucky disease it is and how we need to find a cure ASAP! It is a day to wear PINK! "Aside from non-melanoma skin cancer, breast cancer is the most common form of cancer in women. Breast cancer is the number one cause of cancer death in Hispanic women. It is the second most common cause of cancer death in white, black, Asian/Pacific Islander, and American Indian/Alaska Native women." (statistic found at cdc.gov) ? The cool thing is that with early diagnosis it is often treatable! Just ask my friend, Lori, whose mom is a survivor! WOO HOO! The sad thing is that we often don't expect it, watch for it, or believe it will return. 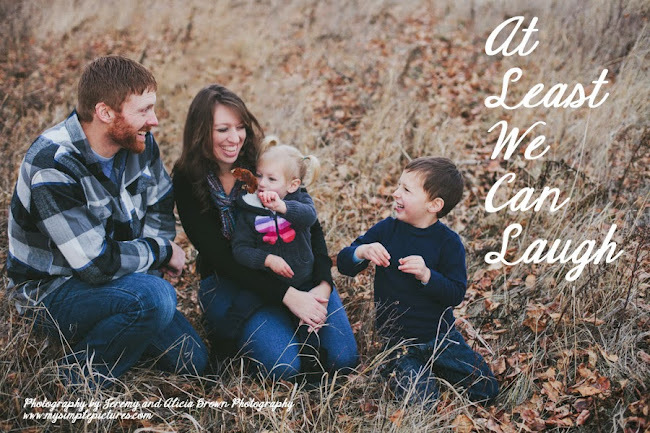 My step-mom is walking with her mother along a heartbreaking path. The cancer came back and this time it looks like the cancer is going to win. But, we are not without hope. Every year research is developing new treatments and early detection devices. Maybe some day we won't even have to think about breast cancer. Today, take the time to do that self exam or schedule your mammogram. Celebrate those who have overcome and shoot up a prayer for those who are battling. Put on a pink shirt or ribbon and help save the ta-ta's! Head over to The Domestic Fringe and join the party*** as we fight for our right to wear pretty bra's, nourish our babies, and make our husbands grin - all because we have beautiful boobies! ***Sooo... I just realized that the party isn't until the 7th! Oops... 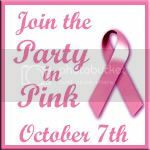 I am posting today - because today is when we "Paint the Flathead Pink" in my neck of the woods, but I will link to the party next week. And...since you have the advanced notification you can be certain to have your post ready to link up by the 7th too! LOL! I started panicking a little while reading your post. I thought I messed up the date for my own party! Not completely unthinkable for me. This was a great post!!! Thank you for honoring your friend and spreading awareness. Thank you for joining Party In Pink! It would be so great if someday we never had to think about it. Thanks for doing this post with the resources too. Early, on time, or late... this was an excellent post. Thanks again for joining the party. Laughter goes a long way in curing and honey...you got the gift! I love this post and thank you so much for posting it! I am a survivor myself and just did an awareness post today. Post. Sorry I just thought I might be able to squeeze in the word post a few more times before I stop posting on your post.